Maxicom Global introduce extensive inventory of HP servers and used HP storage for Hp customers. We have stock of Tape Drives, Libraries, Autoloader to networking storage.Quote for HP storage solution and options through our Express quote. 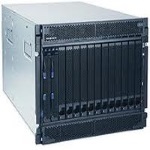 We buy and sell used HP Storage Arrays including HP XP, EVA and MSA arrays plus HP disk systems, SFS and NAS options such as All-in-One Storage and HP Proliant Storage Servers. HP Tape Drives, Libraries, Autoloaders upgrades and parts including DLT, Ultrium, DAT Drives, MSL, ESL and more. Disk and Tape Storage options for HP Blades including Direct Attached, Shared, NAS/SAN gateways and more. HP StorageWorks NAS products can be used as single file storage for CIFS, NFS, AppleTalk, NCP (Netware), HTTP, and FTP, making them the right solution for heterogeneous file serving. This multi-protocol support also helps when migrating from one platform to another. Print serving completes the capabilities of HP NAS in these environments.